Repairing Worlds Main Menu Introduction to the WIRE Project. A brief description of conceptual orientation and research objectives of the WIRE project. Works Cited A page of references used on this website. Below are interviews recorded with people who repair and maintain used electronics. We initiated these interviews as part of the Reassembling Rubbish project which focused on global flows of discarded electronics (or 'e-waste'). In pursuing that research, it became obvious that the work and the sites of repair and maintenance operate as crucial, but too often overlooked, drivers of those flows. These interviews provide a substantial set of qualitative evidence for thinking carefully about the relationships between electronics that are discarded as well as those that are repaired and refurbished. 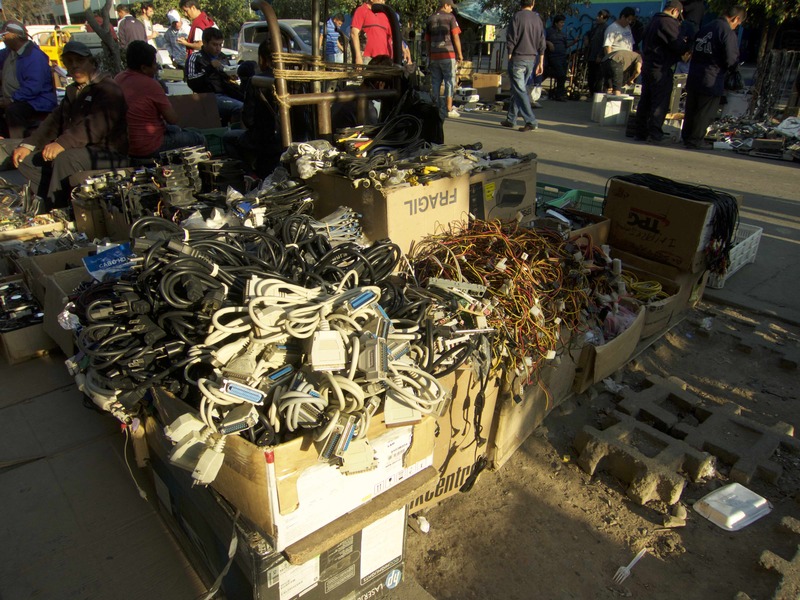 In one way or another, almost everyone in these interviews addresses working with used or discarded electronics which, according to some definitions, would count as 'e-waste'. Along with our qualitative approach to this activity, we have also begun quantifying what might be called the 'environmental offsets' of the reuse, repair, refurbishment, and recycling of electronics by people in this sector. Our preliminary results suggest that laptop repair alone in a single cluster of such businesses we study in Lima, Peru leads to avoided greenhouse gas emissions of between 1.56-3.60 Gg CO2e (1560-3600 tonnes of carbon dioxide equivalent). Technical note: Some of the videos may appear to have no sound in the opening seconds. Allow them to keep playing or skip a few seconds forward and the audio of the interview will begin. You may also need to check your computer's sound is turned on. The videos use the .mp4 format. You may need to install a plugin for your preferred browser.